A skylight is a great addition to any home. It’s used to add lighting and ventilation to rooms that can’t support actual window. While installing them seems pretty straightforward, there are still things you need to be aware of to ensure that you’ll be getting the most out of your new addition. In this post, Tedrick’s Roofing, Inc., shares a few tips to keep in mind when installing skylights in your home. Before you even start, you’ll want to determine where the sun actually rises relative to your house. Many homeowners make the mistake of not properly positioning their skylights, resulting an in inefficient structure that doesn’t maximize the daylighting it’s supposed to provide. You’ll be using flashing to reinforce the skylight. Not all flashing is built the same, though, and some are more appropriate for certain heights and pitches. That’s why it’s important that you determine the slope; the last thing you want is to do is make an “educated guess” and end up with completely inappropriate flashing for your new skylights. Similarly, you also want to waterproof the flashing. Skylights are especially weak to water intrusion due to their unique location and slope, and can often end up causing a roof leak. This is easy to prevent though by properly waterproofing the flashing so that it diverts water and ice flow from the opening. Finally, and most importantly, you should never skimp on the quality of the materials used to make your new skylights. Additional shading and ultraviolet (UV) coatings may seem pricey, but they add utility and function to your new skylights, which in turn will benefit your home. 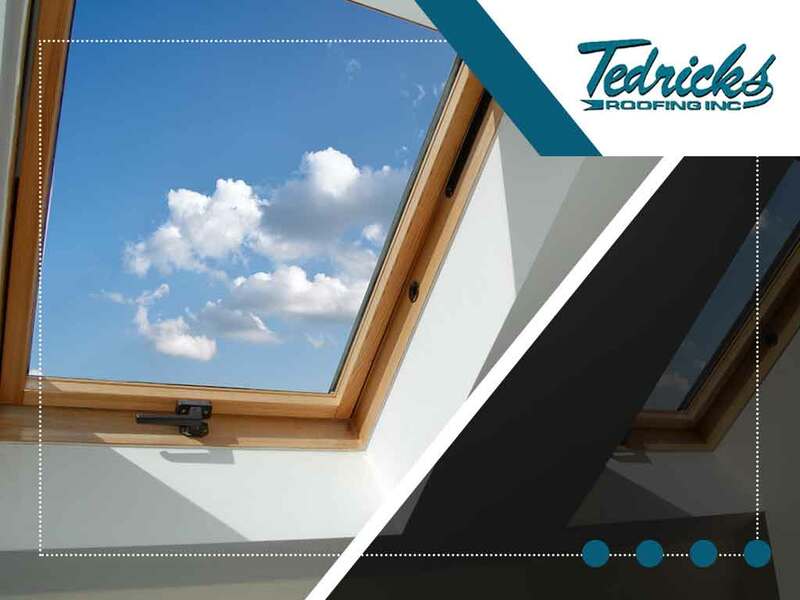 Tedrick’s Roofing, Inc., is ready to assist you with your skylight and gutter installation needs. You may reach us at (877) 212-9355 and (253) 499-9660 to learn more about our services. We install high-quality skylight systems in Seattle, WA.